4 Comments on "“Canadian Flu Vaccine Paradox” Admits Vaccines Are Causing More Illness"
You can’t expect people to be injected with brain-damaging mercury and then still be able to properly assess their stupidity in asking to be injected in the first place. 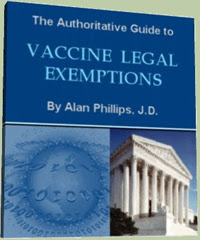 I’m still waiting for Dr. (for profit) Offit get injected with 10,000 vaccines at once, which he himself said would be safe. Maybe suicidal stupidity of today has replaced the natural selection of the past? Both my parents died within a few weeks of getting a pneumonia shot from pnuemonia. My dad got the flu & pnuemonia shot at the doctor’s , then they gave flu shot again in hospital and then they tried to give it again in the nursing home! Nobody checked his chart either. Know that most hospitals now routinely give you a flu shot upon admission as a ” preventative” and then write on your chart that the doctor ordered it even if they did not.